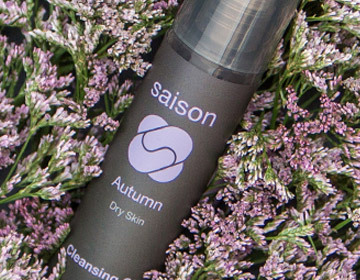 Saison means season in French, which is the inspiration for this premium skincare line. 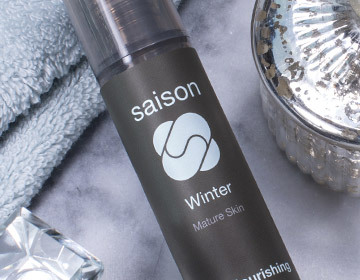 Our products are specially formulated for each season and skin type to nourish your skin throughout the changing months. As the seasons change, so does our skin. Our approach is to treat and revitalize our skin as it responds to the environmental conditions throughout the year. The seasons also influence the ingredients we use in our products, highlighting the plants and produce from that time of year. 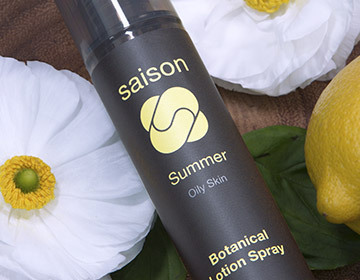 Saison products ARE concentrated with the highest-quality, organic plant extracts. We start with antioxidant-rich fruits, potent herbs and fragrant flowers. And, through a variety of extraction methods, we gain the necessary vitamins and nutrients to feed, enhance and fortify skin. Saison products ARE fresh. Like food that does not contain preservatives, our products are perishable and should be used within a reasonable time period. We believe in producing smaller quantities, made expertly by hand, and replenishing more frequently. We also encourage customers to supplement this skincare regimen with other fresh ingredients found in the kitchen or garden. Saison products ARE all natural and safe. Our products contain NO petrochemicals, parabens, silicones, phthalates, sulfates, glycols, PEGs, DEA, MEA, TEA, triclosan or synthetic fragrances, colors and dyes. We aim to help your skin, not harm it.